When you have a recognizable, successful, rapidly-growing brand, it’s only natural that competitors would try to emulate you. 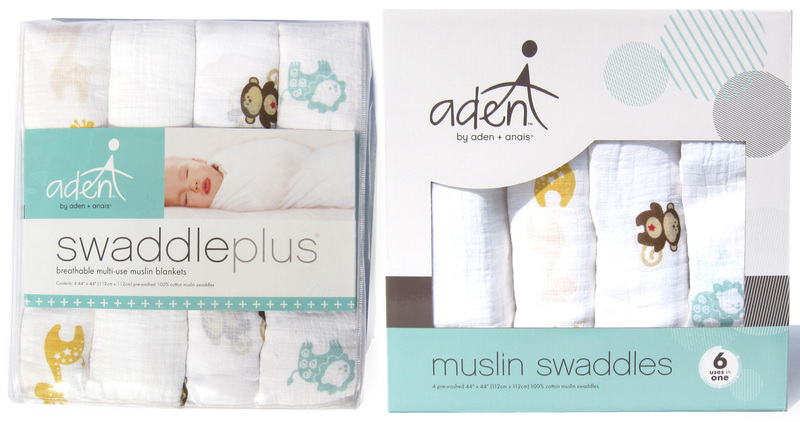 After competitor brands did just that and managed to outsell the original, muslin swaddle brand in the US, aden + anais knew it was time for a rebrand. 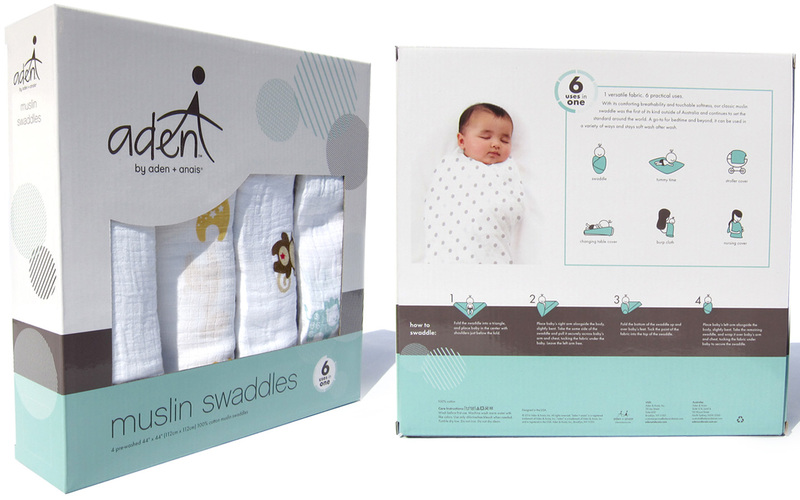 The first step was to upgrade the look of their secondary, mid market brand, aden.Competitors were boxing their swaddles in a similar box to the boutique aden + anais brand, which increased sales due to its more sophisticated look and giftability. aden needed a look that could not only compete, basically with itself, but the emulators. First step was to eliminate the plastic packaging and move to a giftable box. The overall design was upgraded to a more fun and cheeky design, which better reflected the brand. The signature aden and anais colors have more of a presence, but the white gloss makes the box pop in the harsh lighting of the mid-tier stores. 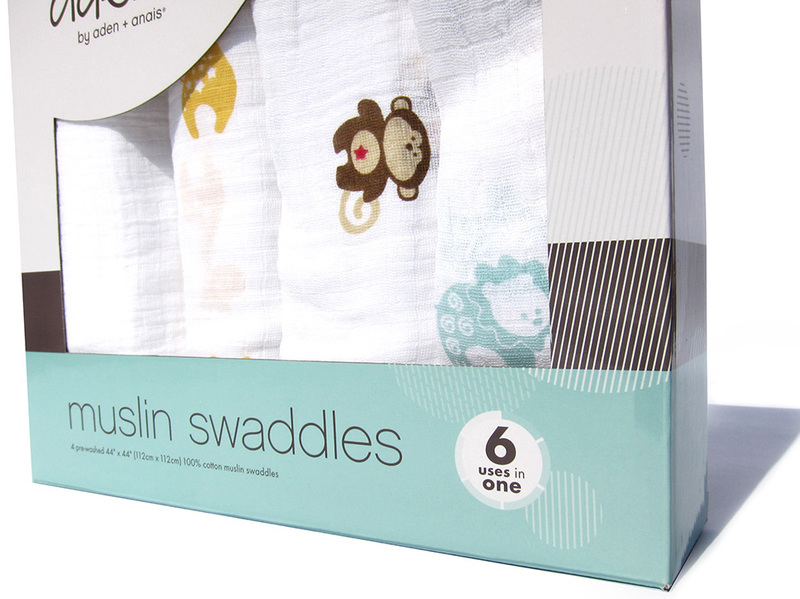 Many people didn’t know the many uses of the swaddle (not including moms wearing it as a scarf or beach wrap! 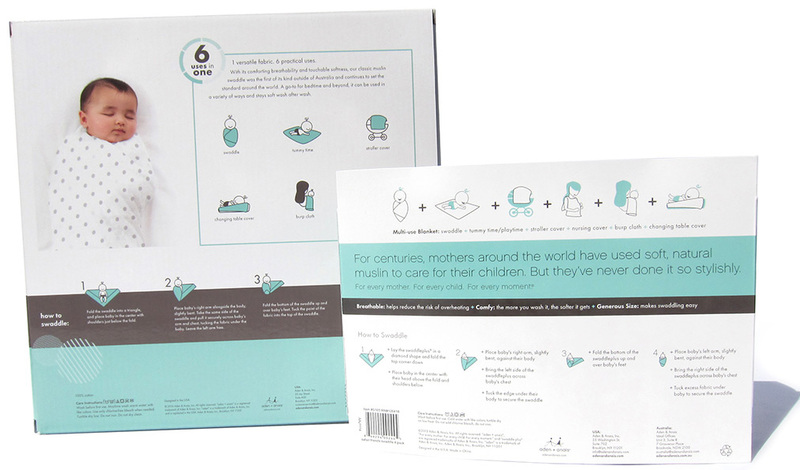 ), so it was important to call out the multiple uses on both the back and front of the box. The existing illustrations received a few tweaks to round out the look, and the large image on the back is fresher and more up-to-date. The information was simplified so it was easier to read and understand.